According to Deadline, Ridley Scott is in early negotiations to direct a movie-adaptation of the 60s TV show The Prisoner. This is a bad idea since A) Ridley Scott doesn’t have time for this, he has approximately four billion other projects already on his slate and B) The Prisoner needs to be left alone. We mentioned this possible deal in Morning Spoilers, but the idea that a Prisoner movie is in the offing and that Scott’s supposed to be directing it needs some scrutiny. A casual perusal of Ridley Scott’s IMDB page has him producing fifteen projects for this year and next. One of those is Blade Runner 2, which he’s not directing but is providing the story for. And, at some point, he’s got to make Alien: Covenant. It’s possible that he’s a brilliant at time management. Or that most of the things he’s producing he’s taking a really hands-off approach to. But even if those things are true, he should still back off from The Prisoner. Universal’s been trying to make a Prisoner movie for a while, with Christopher McQuarrie (Edge of Tomorrow) and William Monahan (The Departed) writing versions. And now Deadline says more writers are showing up to make Scott happy. Well, that doesn’t sound like too many cooks at all. More to the point: Stop trying to remake The Prisoner. 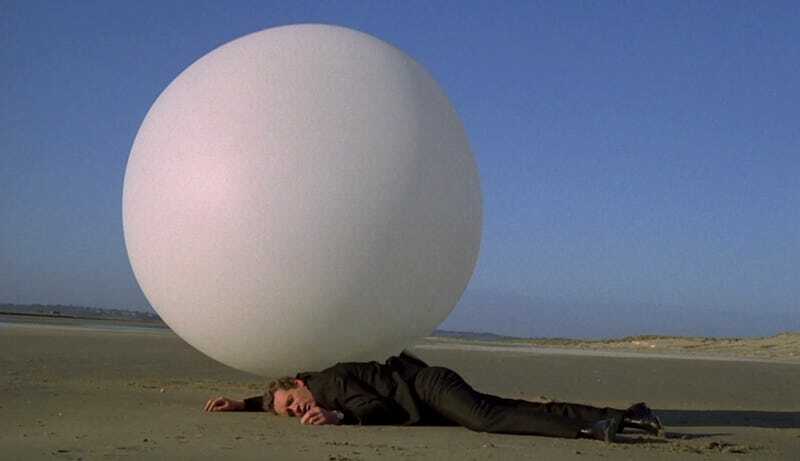 The Prisoner is a damn near perfect show as it is. The Prisoner aired for seventeen episodes in 1967-1968. It starred Patrick McGoohan as a former spy abducted and kept prisoner in a village. In the Village, the former spy is assigned a number over his name—Number Six—and subjected to all manner of surreal things in order to get information from him. The show was bizarre, surreal, and completely iconic. And it was all made on the fly. This is not a show that easily becomes a movie. Certainly not one that becomes the big budget tentpole that a major Hollywood studio wants. It’s barely a show that be remade as another TV show. They tried that, remember? Remember when Jesus played Number Six and was tortured by Gandalf? It didn’t work. It was ponderous and frustrating and oh my god just watch the original. Some things, as good as they were in the 60s, should just be left there.